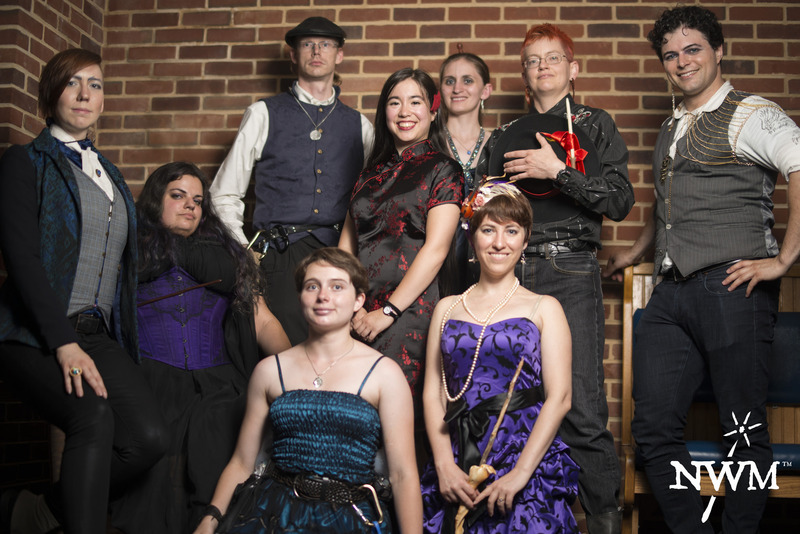 Think you have what it takes to teach at wizard school? We’d love to hear from you! We are hiring for a few different positions for summer 2019. Make sure you read through the job descriptions and requirements thoroughly, then click through at the bottom of the page to apply. We’re looking for team members who are excited about collaboration, cooperation, and building new things together. 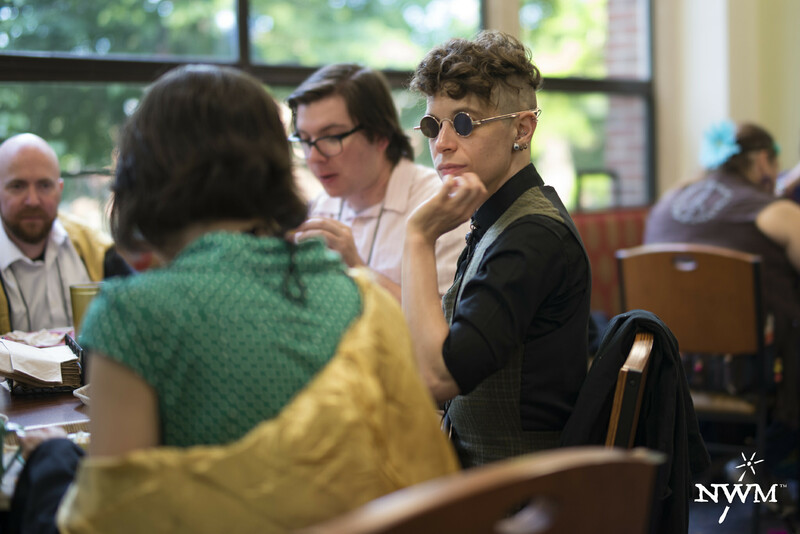 We are committed to diversity and inclusion at all levels, and actively encourage applicants of marginalized identities of all types, including (but not limited to) ethnicity, gender, neurotype, orientation, and religion. Faculty get to wear cool outfits to the Summer Ball too! We also acknowledge that experience comes in all forms, and may not always show up in traditional formats on a resumé. We’re looking for people who are eager to learn, eager to make mistakes, and eager to have complicated conversations. Apply to Magischola Prep if you’re ready to take chances, get excited, have fun, and go above and beyond the call of duty. All staff must be free to attend on-site staff training from July 19th to 22nd. We have a strong preference for staff who can work both weeks of camp but are willing to make exceptions if absolutely necessary. All staff members will need to complete fingerprinting and background checks and must pass all requirements for working with youth in the Commonwealth of Pennsylvania. Counselor – Oversee and live with students, help foster and support roleplay. Professor – Plan and implement curriculum, teaching numerous classes of a single subject. Production Department Head (Costuming, Props, Sets) – Organize, manage, and distribute our stuff! Helper – Work behind the scenes on costumes and scenography and play various NPC roles. Most campus ghosts are quite friendly. Most. Counselors are the ones on the ground with the students. Their characters are recent graduates of P2A4 (often current Magischola students), and oversee the four Courts (three counselors for every Court). They live with the students, and are on duty during the evenings and through the night on rotating shifts. While the students are in class, counselors can rest or help out with production duties. The job of the counselors is to take care of the emotional well-being of the students, spend time with them, and support their plotlines. 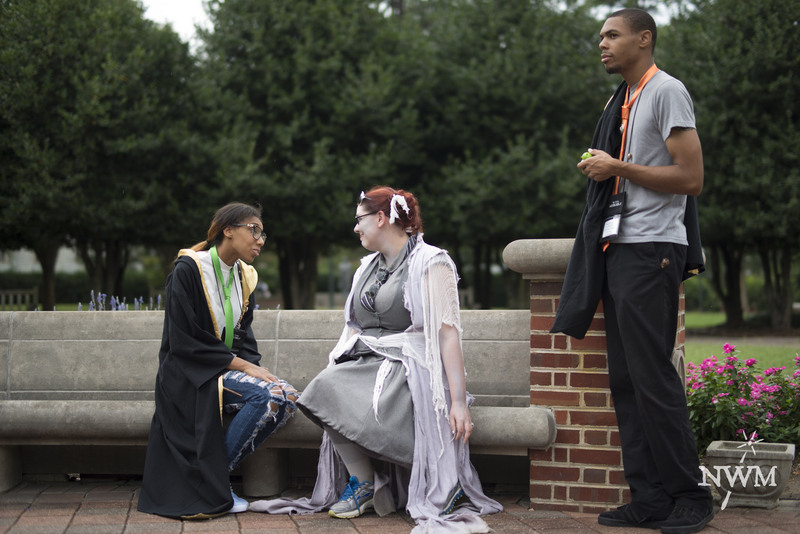 Counselors roleplay throughout the week, serving as both in-character and off-game mentors. Counselors may award and deduct to points to each Court. Each counselor is specifically in charge of one circle of fifteen students, as well as looking out for all of the students in their Court. Counselors take turns being on various duties. During any given free time block, at least one counselor is on duty in each Common Room. 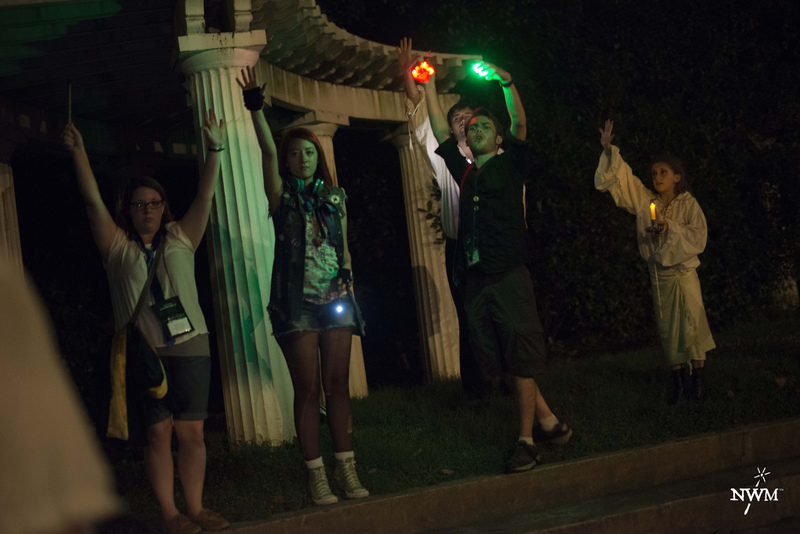 During the evenings, a number of counselors will be available to oversee student expeditions into the woods. Each night, one counselor in each dorm wing is designated as on duty, ready to be woken during the night if students have issues. Compensation: $400/week plus room and board. Faculty also still need to eat. Each professor teaches a single subject, which they teach several times a day. Professors are in charge of their own syllabus, homework, and grading. We will work with professors ahead of time to help them design a syllabus that mixes real-world skills and magical education. For example, Healing classes can teach actual medical and first-aid-responder training, and Rune Lore can bring in linguistics. Professors also each teach one elective seminar each afternoon–they can design multiple electives, or can teach the same one each day. 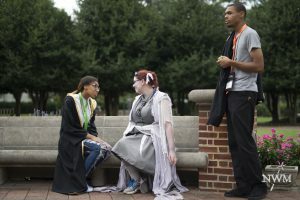 Each professor is also encouraged to develop a storyline for their character that will draw in students and give them as much play as possible. During the evenings, professors are by default off-duty, but are encouraged to go out and continue to make play when they have the energy for it. Each professor should plan and lead one after-hours expedition into the woods during the week, related to their personal plotline. If a staff member needs a substitute due to off-game reasons like illness, they should talk to the administrators. Professorial characters should choose which school they teach at during the school year, which may be one of the Primascholae or Magischolae. Each Primaschola will have at least one representative Professor, who will help lead the off-game workshops for students from that Primaschola. Each Professor also oversees one club, and will help guide plot for that club. When the sun goes down, the rituals begin. Department heads oversee a specific aspect of the production design for Magischola Prep. All three will work together to maintain the shared storage and production space. The three heads will work together to coordinate the scenic design and event setup during Staff Training. Each head will be in charge of organizing their supplies, repairing anything damaged, and packing things at the end of camp. During camp, department heads will be responsible for ensuring their supplies get distributed to the players and other staff who need them. Department heads are authorized to pull in Helpers as needed to do tasks for them. Compensation: $425/week plus room and board. 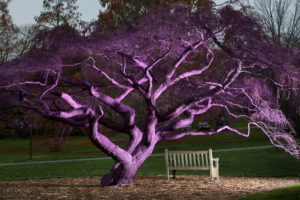 Why is this tree on campus purple? Ask the tree for yourself! Helpers serve a number of roles behind the scenes, carrying things, helping with setup, and smoothing logistics. Many work in Production, working with costuming, props, makeup, and scenography, under the supervision of the department heads. Helpers also serve as general and on-call NPCs, both for pre-planned scenes and player requests. During downtown, Helpers are encouraged to come up with their own NPC characters and spend time in the game catalyzing storylines.